BUILDER HAS CONFIDENCE - "NEXT TO ME, DEBBIE KNOWS MORE ABOUT MY HOMES THAN ANYONE ELSE." "I HAVE COMPLETE CONFIDENCE IN DEBBIE WHEN SHE IS SHOWING AND GIVING CLIENTS INFORMATION"
CUSTOMER FOR LIFE - To whom it may Concern: My name is Amber Mogg and I recently sold my mother's home on October 31, Debbie Yates was my REALTOR who made such a time consuming process a stress-free one. Not only did she go above and beyond she was always there to answer any questions that I had. She really took control of the whole situation leaving me with nothing to deal with except showing up at closing. I honestly do not think I could have done this without her. Thanks to her I have the burden of my mother's home out from underneath me. Thank you Debbie for all your hard work. 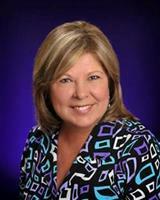 "I recently bought my first house and chose Debbie Yates as my agent. I couldn't have made a better choice! She is very knowledgeable of the area and was able to help me find a house that met my needs and was within my price range. Debbie was understanding of my need to correspond alot through e-mail (due to work constraints) and responded quickly to any questions. She made herself available to show houses in the evenings and on weekends, even on short notice. She explained each step of the process and made buying a house much easier than I ever thought it could be!"